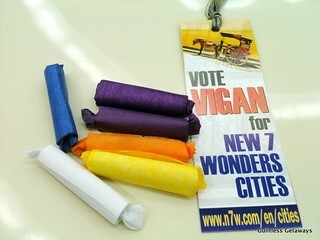 Girl Kuripot Girl Kuripot: Vote for Vigan City to be One of the New 7 Wonders Cities of the World! 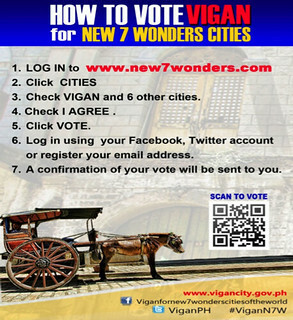 Vote for Vigan City to be One of the New 7 Wonders Cities of the World! The City of Vigan is vying to win and be included in the New 7 Wonders Cities of the World list! You have until October 7, 2014 for the 2nd voting phase - they will cut the list from 21 finalists to 14 finalists. If Vigan is included in the Top 14, the 3rd (last) voting phase will commence and end on December 7, 2014 to determine the Final New 7 Wonders Cities of the World! Click here to vote for Vigan for free!